Free Your Android phone (and upgrade to the latest Android version)! Most Android phone manufacturers provide operating system upgrades, so you can run the latest version of Android even with an older smart phone. With closed software phones like iPhone this is not possible, since Apple wants to force its customers into always buying a new phone. However not all Android phone manufacturers provide upgrades, or the upgraded Android version they provide is inferior to what is available otherwise. Luckily Android users are not completely dependent on the manufacturer’s will. You can Free Your Android and install custom Android versions to get a better experience, more features and perhaps also increaseed security and privacy. 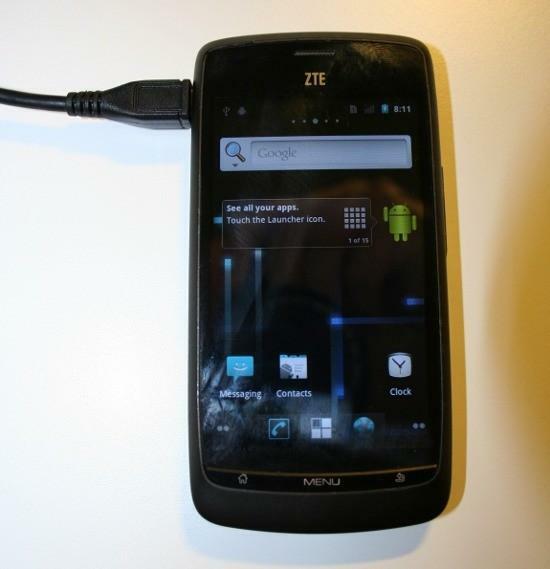 For example in Finland the ZTE Blade is a very common phone, but the manufacturer only provides Android 2.2 for it. However, the CyanogenMod project provides a custom Android version based on the newer Android 2.3 base. Check the list of hardware adaptations that CyanogenMod provides to see if you can install it on your own smart phone. Unfortunately CyanogenMod contains some closed source device drivers, since many hardware manufacturers are to niggard to do the driver development openly. If you wish to have a Android version that also has only open source drivers, check out the Replicant project. Another very popular Android distribution is MIUI, which focuses on features but less on security or freedom and there is no official ZTE Blade hardware adaptation available, so it is not an option even for now. Even for CyanogenMod we cannot use the latest version 10, since that is based on Android 4 series, which lacks certain device drivers for hardware that is on the ZTE Blade. 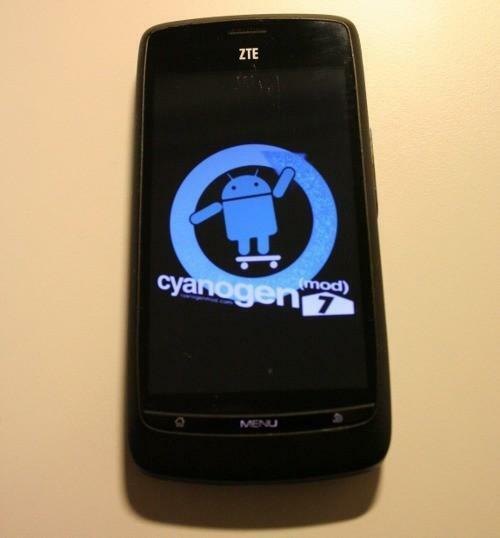 Thus we need to use the latest Android 2 series version, which is CyanogenMod 7.2. Before you start to install a new operating system on you phone, you must remember to back up your data first! For example SMS Backup and Call log backup and restore are convenient programs to use anyway, since they regulary backup your SMS and phone log data into your GMail account as separate folders. You probably also have important data in your installed apps, and you need to check if they have options to backup to some cloud service of export their data to the SD card. Once you have everything saved and exported to the SD card, remember to plug you phone to your computer and backup the entire SD card. During the installation only the phone internal memory will be overwritten, but to be sure it is good to backup the SD card too. While you still have your phone attached to your computer, download the latest version of CyanogenMod for ZTE Blade (as of writing 7.2.0) and save the file in the root folder of you SD card, but rename it to update.zip. If you like to use the Google apps like Google Play, GMail and Maps, also download the gapps.zip and save it on the SD card for later installation. 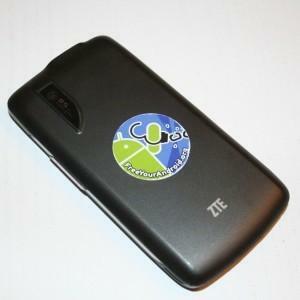 Some instructions on the Internet are based on rooting the phone and installing a recovery mode manager, or using the fastboot tool to directly flash a custom recovery mode to the recovery partition, but none of these work anymore on the latest ZTE Blade (gen2). However, there seems to be a kind of built-in recovery mode available. 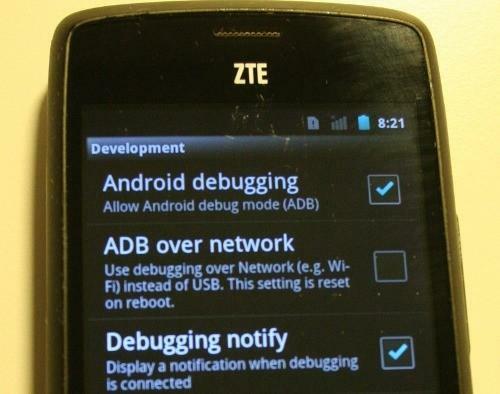 To activate you need to download the Android Debug Bridge adb. It is distributed as a part of the Android SDK, but it is enough that you just get the adb executable alone. Once you have it on your (Linux) machine, enable USB debug mode on your phone by long pressing the Menu button while in the desktop screen. 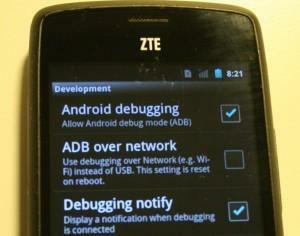 Then select Settings > Applications > Development > USB debugging and plug your ZTE Blade using a USB cable to your computer. The phone reboots and a menu will appear. Use volume buttons up and down to select option ”wipe data/factory reset” and press the Back button to confirm the selection. After that also run ”wipe cache partition” and then finally ”apply sdcard:update.zip”. Now the installation starts. 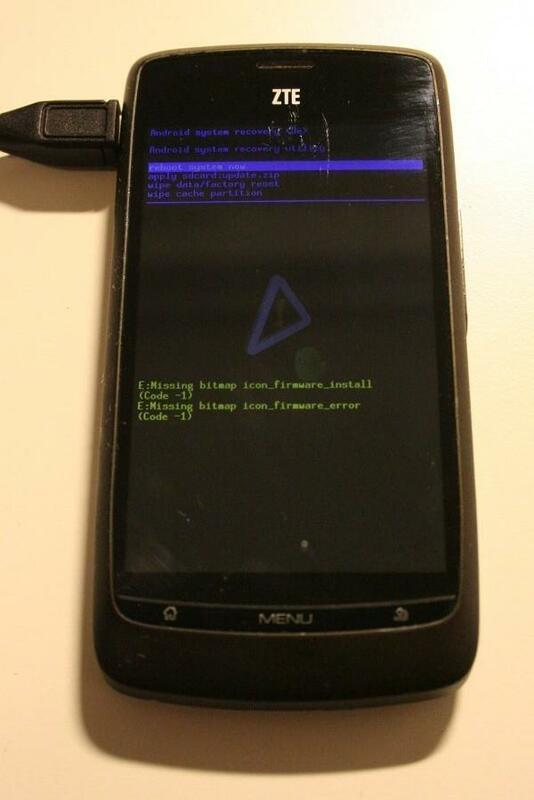 Once installed select ”Reboot” and CyanogenMod will start. Depending on your preferences, you might need to finalize the installation by installing manually the apps you want as .apk files from the SD card or off some website. Please also check out the F-Droid app store before installing an Google account and Google Play, in particular if you are interested about freedom and audit-ability of software sources. An excellent source of more information on the topic is provided by the Free Your Android campaign page at FSFE.org.